First Domestic Travel for 2011 | To Be, To Be. Tutubi. My first domestic travel for this year will happen on March 4. I will be going back to Palawan for the second time, but this time, at Puerto Princesa. It is still more than a month before that trip but I am so excited already! I have asked for tour packages from several hotels and travel agencies and I convert their replies into pdf and have saved them in my PDF library. I will make a spreadsheet and compare the prices once I have received all their replies. My husband tells me I am so excited, and I know and just cant help it! 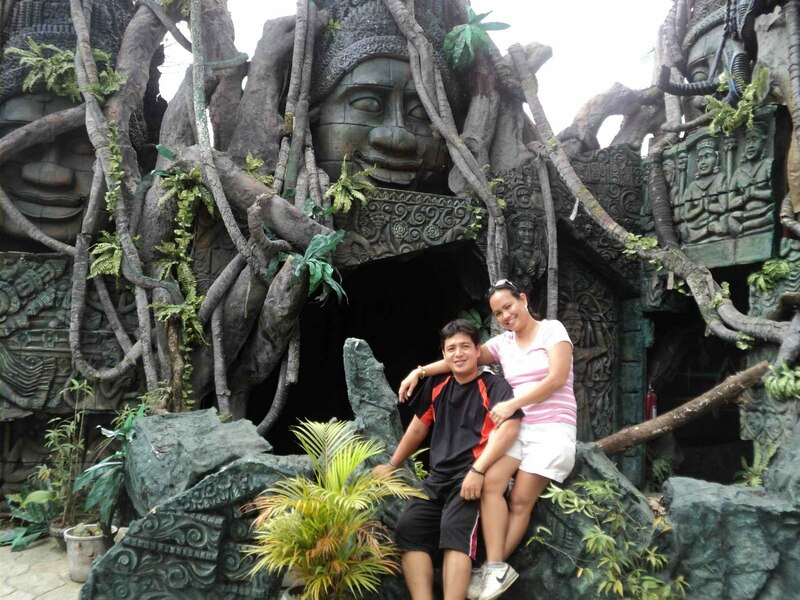 The picture above was taken, non in Thailand or Cambodia but at an amusement park in Quezon City. It is a reminder to myself that I want to travel outside of the country before I turn 35, which is just year from February. But I want to visit more domestic destinations as I can and I am even willing to extend my Asia travel another year if there are more domestic than international seat sales from airlines. Anyway, I still have to ask friends who have been to Puerto Princesa about their hotels and other activities and how much they have spent. Again, this is a budget travel and we hope to spend no more than P5000 per person for this trip.